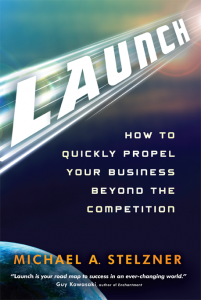 Michael Stelzner’s new book Launch: How to Quickly Propel Your Business Beyond the Competition has fired me up and helped me launch a couple of my own new ventures. How? Because Mike’s been there, done that. I always like to know who’s doing the work. If I’m building a new house, who’s my contractor? As a baseball fan, I love to check out the players’ stats. And I never miss a new U2 or Newsboys CD because I know they always do good work. In the case of a book, I like to know something about the author. Mainly, is he an authority in his field? In 2007, Mike authored a white paper entitled Writing White Papers that landed him universal acclaim and assignments writing white papers and consulting for over 100 corporations. His work launched his career into the stratosphere. 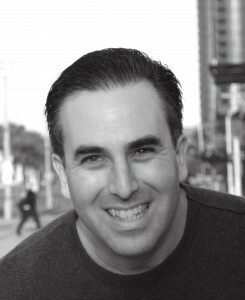 Not one to rest on his laurels, in 2009 Mike launched Social Media Examiner, which in less than 5 months was declared the #1 small business blog in the world by Technorati. I read SME faithfully because its articles and resources are always a big help to me and my businesses. So Mike writing a book about launching is like Ted Williams writing about hitting, F.L. Wright writing about architecture, or Picasso about painting. Mike knows launching. joy (how putting other people’s needs before your own ends up making everyone happier—both others and you yourself). How can this claim be true and why is it essential to your success? Simple, really. Being principled works—both in your business life and your personal life. Good, honest, generous, selfless principles make people successful and happy. 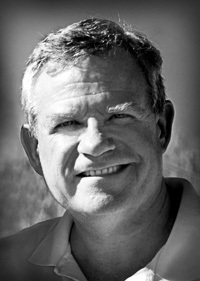 His EP formula is Einsteinian elegant: GC + OP – MM = G. That is, great content + other people – marketing messages = growth. Write great stuff that people can use. Inform and teach them. Show them you know what you’re talking about. And give it to them for free. That formula will result in growth. Not just for your business, but for you too—growth as a person of principles. Mike never preaches in this book. Never stands on a soap box. That’s not his style, thankfully. But the subtext, the really beautiful, inspiring, implied message is this: life’s really all about living for other people. When you get yourself out of the center of the universe and realize that your main purpose—and most enriching and rewarding strategy— in life is to live for other people, those people benefit and so will you. Because people usually reciprocate. Especially when they sense genuine good will coming from you. Help people solve their problems. Write how-to guides. Show them what you know. Show them you’re there for them. Don’t push, manipulate, or pressure people into buying what you’re selling. Give gifts—freely and without any expectation of getting one back. What gift can you give? Your knowledge. Your time. Your friendship and good counsel. What’s the payoff for paying it forward? Business, likely. Possibly lots of business. Because people like to do business with people who are low key, caring, giving, and knowledgeable. Your bottom line—and your life—will benefit from following this principle of putting others first. Not many people are like that. So you’ll be different—as a business and a human being. Mike Stelzner introduces Launch from Michael A. Stelzner on Vimeo. The first part of the EP equation is GC (good content). Why does Mike place such great emphasis upon GC? Because great content sells. Its persuasive. It explains what you know and shows what you can do. All at once. As a teacher of writing and literature for 38 years, I’ve read a lot of books, poems, articles, essays, dissertations—you name it. Mike’s work contains all the elements of good writing. For just one example, his metaphoric motif (getting literary now!) of the launch and the rocket, its fuel and trajectory, are all poetically persuasive. Poetry persuades. Its rhyme, rhythm, figurative language, and compression unconsciously convince us. Mike’s a poet and he may not even know it! 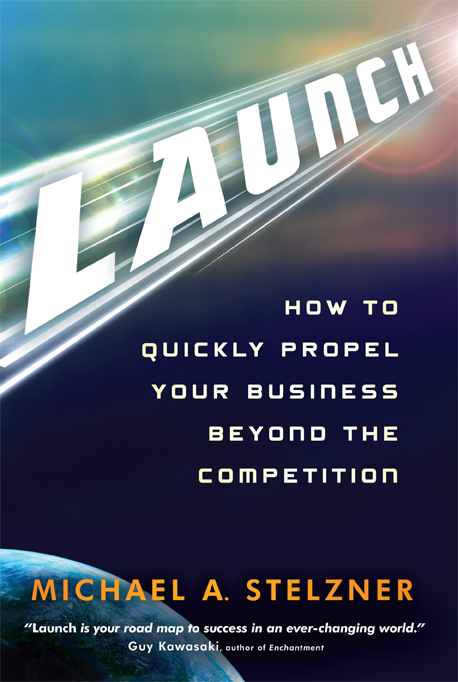 Launch is a living demonstration of good content: it’s clear, crisp, fun and easy to read, and packed with rocket fuel to propel you. All you have to do is ignite its principles and watch them rocket you up, up and away! We Have Lift Off: Read Launch! Once in a while the planets align perfectly: things are happening in your life that link up magically and wonderfully with outside forces or events. That just happened for me. Launch just launched at the same time I’m launching a novel and a new startup business. Could the timing have been any better for me? Nope. And the timing is right for you, too. Because there’s no time like the present. 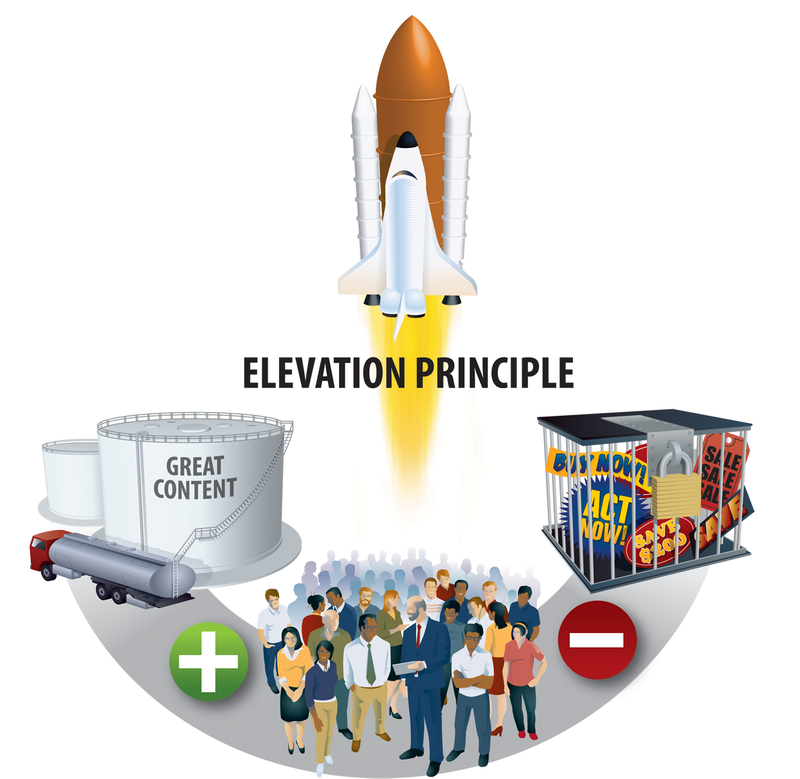 Launch is a winner: its solid gold principles and inspirational mission plan couldn’t make more sense or work any better. So, Launch yourself now! Get on board and take your dreams for a ride straight to the stars!